Effects of aerobic and/or resistance training on body mass and fat mass in overweight or obese adults. Aerobic training is the best mode of exercise for burning fat, according to Duke researchers who compared aerobic training, resistance training, and a combination of the two. The study, which appears Dec. 15, 2012, in the Journal of Applied Physiology, is the largest randomized trial to analyze changes in body composition from the three modes of exercise in overweight or obese adults without diabetes. Aerobic exercise — including walking, running, and swimming — has been proven to be an effective way to lose weight. However, recent guidelines have suggested that resistance training, which includes weight lifting to build and maintain muscle mass, may also help with weight loss by increasing a person’s resting metabolic rate. Research has demonstrated health benefits for resistance training, such as improving glucose control, but studies on the effects of resistance training on fat mass have been inconclusive. “Given that approximately two-thirds of adults in the United States are overweight due to excess body fat, we want to offer clear, evidence-based exercise recommendations that will truly help people lose weight and body fat,” said Leslie H. Willis, MS, an exercise physiologist at Duke Medicine and the study’s lead author. Researchers enrolled 234 overweight or obese adults in the study. Participants were randomly assigned to one of three exercise training groups: resistance training (three days per week of weight lifting, three sets per day, 8-12 repetitions per set), aerobic training (approximately 12 miles per week), or aerobic plus resistance training (three days a week, three set per day, 8-12 repetitions per set for resistance training, plus approximately 12 miles per week of aerobic exercise). The exercise sessions were supervised in order to accurately measure adherence among participants. Data from 119 people who completed the study and had complete body composition data were analyzed to determine the effectiveness of each exercise regimen. The groups assigned to aerobic training and aerobic plus resistance training lost more weight than those who did just resistance training. The resistance training group actually gained weight due to an increase in lean body mass. Aerobic exercise was also a more efficient method of exercise for losing body fat. The aerobic exercise group spent an average of 133 minutes a week training and lost weight, while the resistance training group spent approximately 180 minutes exercising a week without shedding pounds. The combination exercise group, while requiring double the time commitment, provided a mixed result. The regimen helped participants lose weight and fat mass, but did not significantly reduce body mass nor fat mass over aerobic training alone. This group did notice the largest decrease in waist circumference, which may be attributed to the amount of time participants spent exercising. Resting metabolic rate, which determines how many calories are burned while at rest, was not directly measured in this study. While theories suggest that resistance training can improve resting metabolic rates and therefore aid in weight loss, in this study, resistance training did not significantly decrease fat mass nor body weight irrespective of any change in resting metabolic rate that might have occurred. Duke researchers added that exercise recommendations are age-specific. For older adults experiencing muscle atrophy, studies have found resistance training to be beneficial. However, younger, healthy adults or those looking to lose weight would see better results doing aerobic training. In addition to Willis and Slentz, Duke study authors include Lori A. Bateman, Lucy W. Piner, Connie W. Bales, and William E. Kraus. East Carolina University study authors include A. Tamlyn Shields and Joseph A. Houmard. The study was funded with a grant from the National Heart, Lung, and Blood Institute, National Institutes of Health (2R01-HL057354). 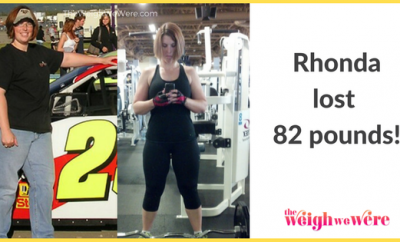 82 Pounds Lost: The Big Rig That Could… and DID!! !